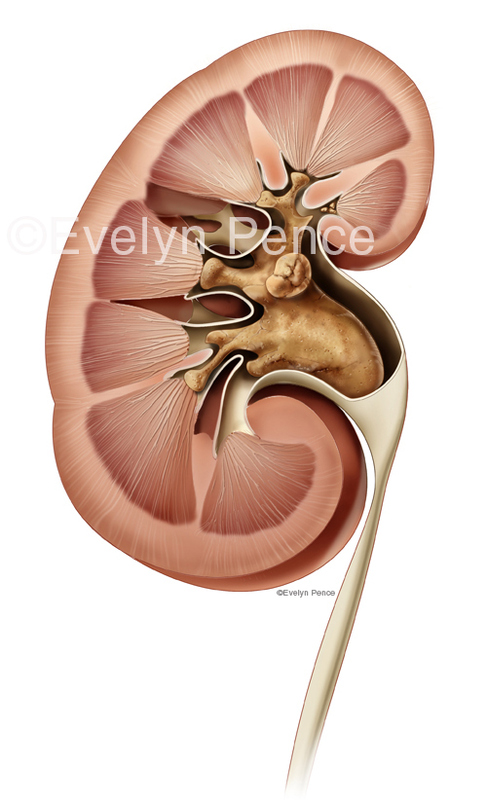 Comparison illustrations of a type of kidney stone called staghorn calculi. One figure shows the stones within a normal kidney and the other shows a hydronephrotic kidney infected with xanthogranulomatous pyelonephritis. 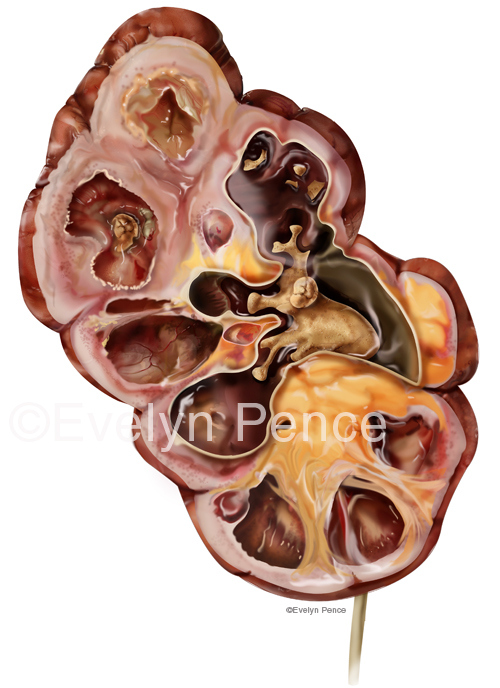 This is artwork created for a medical malpractice case to show the jury how the patient's kidney may have appeared, based upon CT scans. Kidney with staghorn calculus and XGP.